Susanna Lea studied Politics, Philosophy and Economics at the University of Oxford. 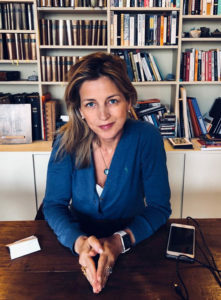 She was previously director of international projects at Éditions Fixot/Robert Laffont, supervising the publication and sale of rights for international bestsellers, before leaving to found Susanna Lea Associates. A selection of press clippings about Susanna and the agency can be found here.